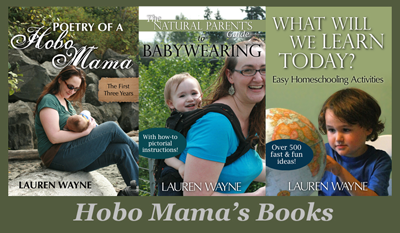 Hobo Mama: LAST CHANCE for a parenting library! Plus a freebie from meebie! LAST CHANCE for a parenting library! Plus a freebie from meebie! The Mindful Parenting eBundle Sale ends TODAY! I can hardly believe we're at the end of this whirlwind two weeks, but that's what my calendar tells me. This is your LAST CHANCE to get these 22 quality parenting e-products in one place! Time to stop dithering and hop on over to get your copy of this bundle before it's gone! The bundle costs only $24.95 — let's break down some math here. My book is already worth $9.99. Some other resources are worth more than the bundle as a whole (! ), but let's say they're worth about $10 on average. If you were interested in buying even three of the resources this year, you'd come out far, far ahead by buying the bundle now instead. You don't necessarily need to read all 22 (amazing) titles, but there's no downside in having them available to you! It's like populating your mindful parenting library in one go. And you guys know me — you know I've vetted all these resources. I wouldn't be recommending them if I weren't serious about how life-changing they can be! I've been working on developing some new Activity Cards and am pleased to offer a sampler pack of twenty for anyone who buys the bundle through my affiliate link. These fun and educational flashcards will help you entertain your kidlets during any tedious situations. If you email me your receipt, I'll email you the PDF (for printing) and jpg (for mobile) versions of 20 cards. Yea! Meanwhile, you'll be enjoying your bundle, hand-designed for the thoughtful parent: e-books, workshops, e-magazines, and audio with themes such as creativity and play, peaceful guidance, mindfulness for mothers, children and food, self-care and relaxation, and more. Check out all the contributors below — then hurry to purchase! Attachment Parenting isn’t new. In many ways, it is a return to the instinctual behaviors of our ancestors. In the last sixty years, the behaviors of attachment have been studied extensively by psychology and child development researchers, and more recently, by researchers studying the brain. This body of knowledge offers strong support for areas that are key to the optimal development of children, summarized in API’s Eight Principles of Parenting. Enjoy the exchange among the world’s leading experts in attachment parenting discussing API’s 8 Principles of Parenting, listen to their responses to questions of our time, and hear their answers to questions from the audience. Relaxation Meditation helps you access inner awareness and resolve, cultivating the space for true, lasting transformation. Relax into parenting as you enhance your relationship with yourself, your child, and life at the same time. This eBook will give you clarity on positive parenting and offer you tools and skills that will strengthen your relationship with your child while teaching values and instilling the self-discipline that will benefit your child for a lifetime. 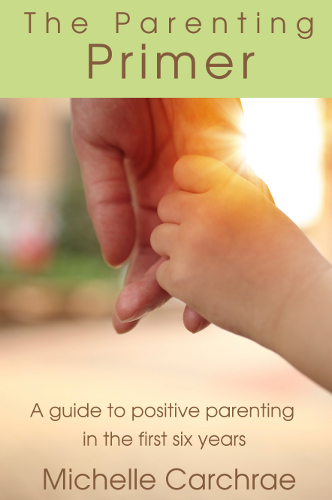 The Newbie's Guide to Positive Parenting provides several scenarios so you can see how positive parenting principles are applied in everyday situations. Issue 3 includes over 100 playful activities including play suggestions for toddlers, an outdoor math hunt, ideas for exploring science in the kitchen, woodwork activities perfect for kids, an exclusive full colour set of printable puppets to get you singing with your kids PLUS art projects, book reviews, toy suggestions, playful parenting ideas, tips for making pack-away time fun … and more! Listen to this audio to gain lots of insights into the tendency to meltdown, why it happens, how to see it coming and what to do instead of yelling or otherwise acting from a place of overwhelm and frustration. You’ll gain reassurance that it’s much more common than you thought, that it’s not your fault, but it is your responsibility. You’ll learn that there are psychological triggers going back to childhood at the core of your tendency to lose your cool. And most importantly you’ll gain lots of great tips and strategies from Genevieve and Patty that will make it so much easier to be the peaceful parent that you know that you really can be. The track “Bliss” takes the listener through a 15 minute deep body relaxation. Genevieve’s soft Irish lilt backed by the celtic harp offers a soothing balm to their feelings and played at night next to their bed will ease their transition into a deep and restful sleep. Other tracks offer guided exercises that guide and teach the listener to centre and return to a calm balanced state and a warm connection with their child. Both Kat and Gina will be working alongside of you during this 30-day creative play journey, which hopefully will continue on long after the workshop ends. Mindset for Moms: From Mundane to Marvelous Thinking in Just 30 Days is a guide for better thinking and increased happiness in parenting and in life. Lessons about positivity that took Jamie years to learn, you can learn in days – 30 days, to be exact. She’s consolidated the concepts in this e-book into short entries – perfect for busy moms to read and apply for immediate results. A compilation of her best-loved posts on motherhood from her popular blog, Dreaming Aloud, columns from JUNO magazine and many new pieces, never before published. According to one reader, "This book puts the mother, back in motherhood." "It is no ordinary parenting book" but full of her trademark searing honesty and raw emotions. It will make you laugh, cry and feel deeply accepted – wherever on your mothering journey you may be. Topics include: pregnancy and birth, happy days, anger and fierceness, sleep, playfulness, grief, love, patience, tenderness, homemaking… it is illustrated throughout with beautiful black and white photographs. Use this book as objective advice, refer to it often, share it with others, use it as a reality check, and realize that divorce is not linear and that damage is not permanent or irreparable. If you do this well, the other parent will always be in your life. Find a way to make that tolerable for everyone, because no matter where you go or what you do, your children are tethered to both of you in an incredibly delicate and important way. Learn to accommodate each other as a gift to your children while they grow. Share others’ success stories for simple, practical advice and insights. See how taking care of yourself will help you take care of your family and prevent divorce remorse and divided loyalties. Set good examples that will help them make their own relationship choices wisely by drawing on your positive experience. And for you, know that someday, somewhere, you will almost certainly find a partner with whom you can have a mutually respectful, loving, and responsible relationship. Nurturing Creativity: A Guide for Busy Moms is a book to help you grow creatively. Nurturing Creativity is about embracing the seasons of motherhood and appreciating where you are while helping you to make creativity a priority in your life. It will encourage you to let go of perfection, to start small, and to find inspiration in everyday living. This little book will challenge you to make the most of the time you do have. Time you can spend creating beauty and meaning – with your head, heart, and hands. The Playful Family encourages and challenges busy parents to slow down and spend quality time together with their children, regardless of their age. With nearly 100 ways to connect, engage and play together, this easy-to-read e-book is a must-have resource for any parent interested in becoming more playful and happy while raising children. Each chapter includes dozens of ideas as well as a challenge to motivate families to put their own ideas to work in real life. The author, Teresa Graham Brett, uses current social science research to debunk the myth that controlling children is necessary to ensure they grow up to be healthy and responsible adults. She demonstrates how changing our parent-child relationships plays a critical role in creating social change. More importantly, it gives parents strategies and tools for letting go of harmful control of children. Encouraging Words for Kids gives parents over 150 examples of phrases to say that inspire a child’s confidence and self-motivation. Encouragement is about drawing forth a child’s own drive to work hard and do what’s right without being told; this book shows you how to get there. It is a guide that parents can turn to again and again whenever they need a dose of inspiration in creating positive communication with their kids. Raising a Creative Kid: Simple Strategies for Igniting and Nurturing that Creative Spark is just what you need to transform your environment into a creativity growth center. This downloadable recording will deepen trust between you and your girl, and lay a foundation for lifelong openness between you! The Parenting Primer begins by looking at how love and limits influence our parenting, then explores other topics that affect our relationships with our children, such as information on brain development or personality, communication skills, lifestyle choices, creativity and self-discipline. Mommy Overwhelm is a stepping-stone guide for parents who want to overcome daily overwhelm, stress and depression. In this book, Laura draws from her own experience overcoming a longstanding depression to hand you the tools to heal. From strengthening foods and herbs to exercises and activities, this guide will kickstart your journey to happier, balanced parenting. "Throughout my recent talks all over the world, what were SO many people interested in learning about? After hearing about the power of prenatal imprints, they wanted to know what parents could do when things didn't go so smoothly in pregnancy, birth or around conception. 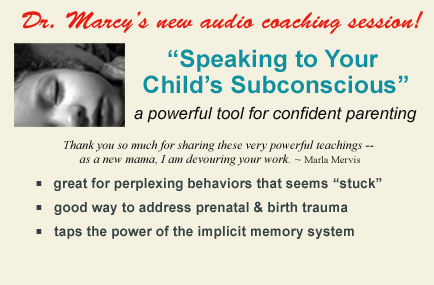 I make it clear that repair & healing are ALWAYS possible at ANY age, and mentioned an somewhat out-of-the-box approach I've developed over my years of coaching parents — which includes talking to your child in his or her sleep. "They were so keen to learn, that I put together this primer in the power of the subconscious mind — and how to use it to create healing change. This 75-minute presentation includes a powerful guided imagery to use the power of imagination in making positive changes to parents' own inner lives and childhood history." With each sale, I earn an affiliate fee on this bundle at no extra cost to you. Buying this bundle supports my hobo family and all the hard work I put into this blog. Ain't no shame in that. Get it NOW!